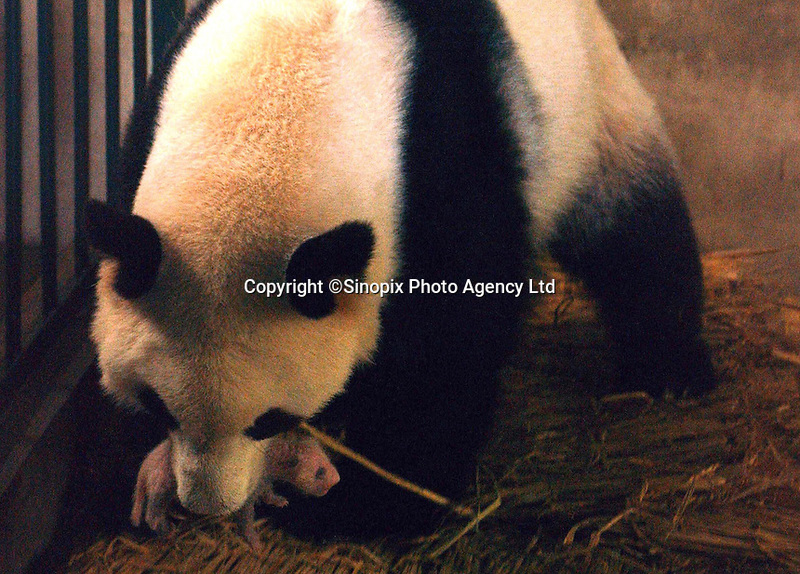 A six-dayn old Panda with it's adoptive mother called Qing Qingat the Chengdu Panda Breeding and Research Institute. The pandas biological mother was unable to take care of the baby. There have been more pandas births than ever this season, with fifteen currently surviving.